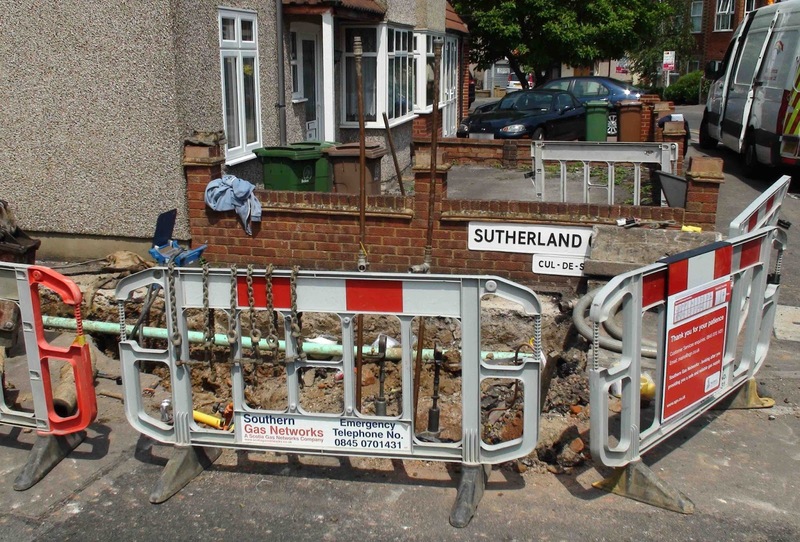 Sutherland Gardens had their pipes replaced on Friday (5th July - pictured above) and had to sit out the weekend before work could begin filling the holes and putting the road back together. 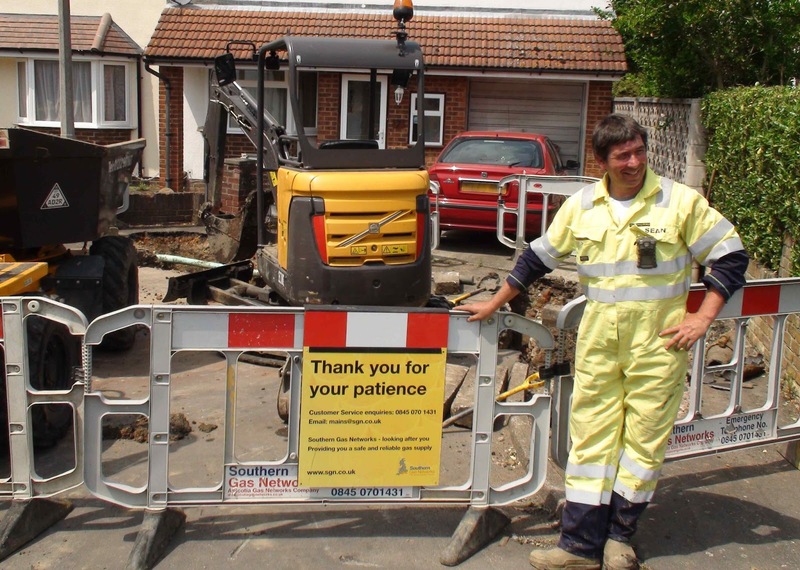 I had a chat with Sean Jordan, the gentleman who is the on-site manager (and backhoe operator) and he told me that they have five working days to fix up the road after they have finished the pipe replacement but they always try to get it done within three. So Sutherland Gardens should be back to normal again after today. 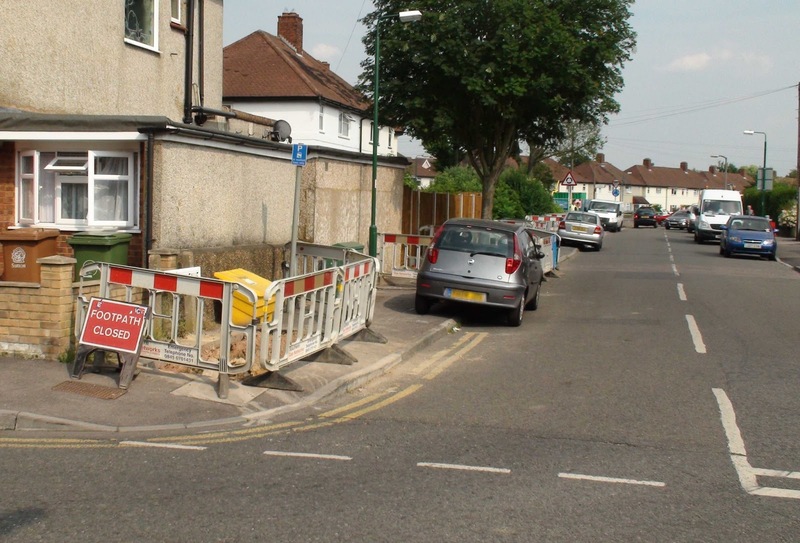 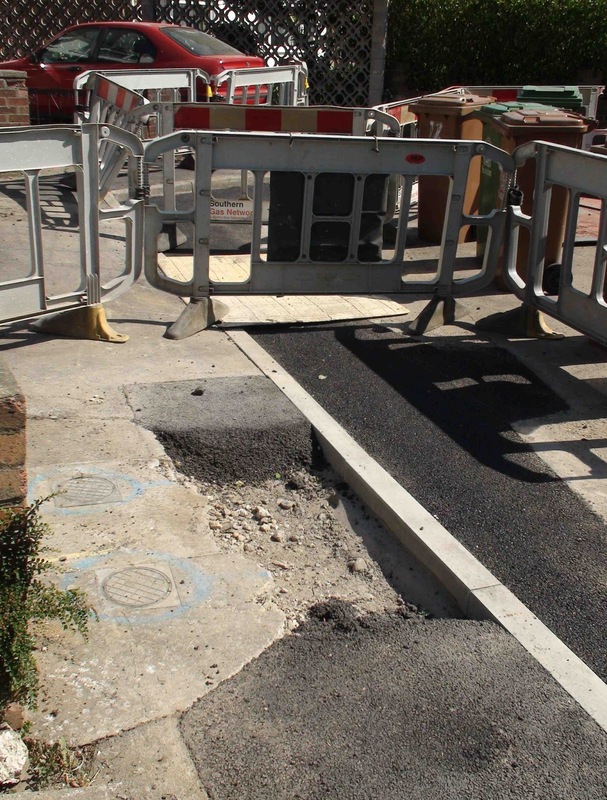 They are still working in Brinkley Road but are now doing the other side so should be finished there soon. 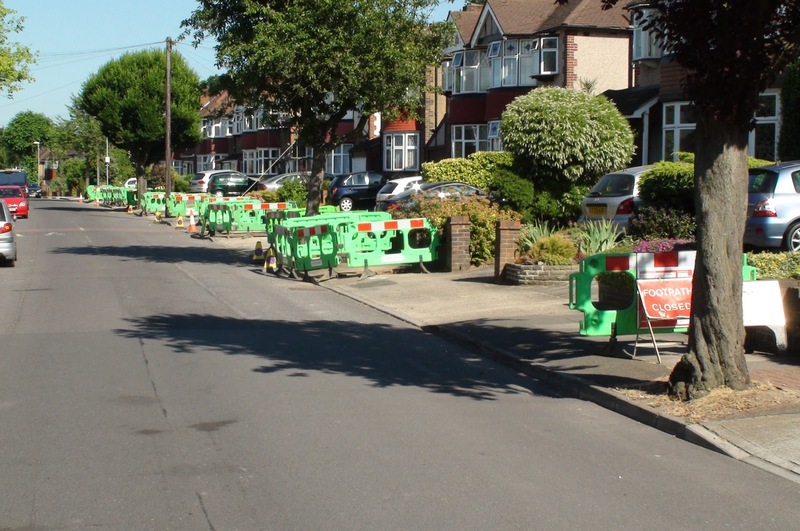 Work has just begun in Pembury Ave. 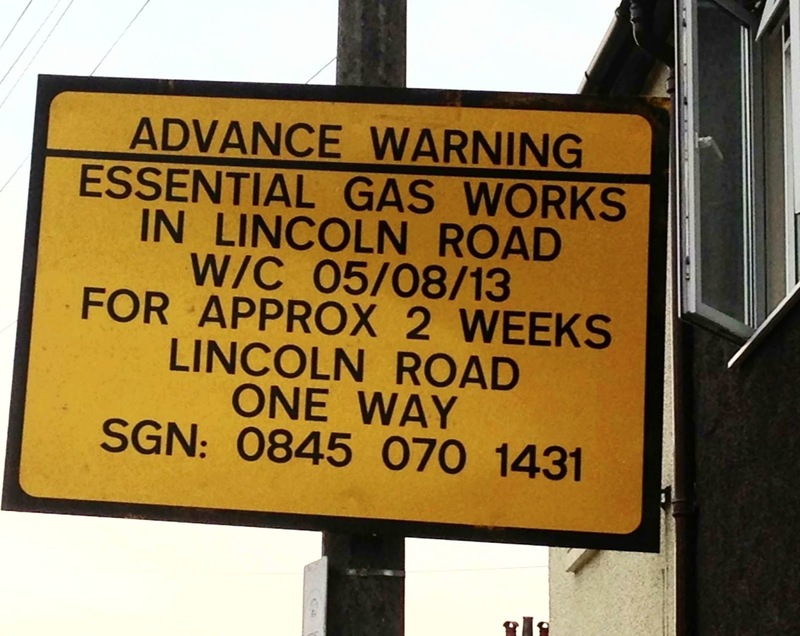 The works have come and gone at the bottom end of Browing Avenue, are continuing at the Browning end of Brinkley Road and are about to begin in Lincoln Road which is to become a one way street for a fortnight or so from the 5th of August. 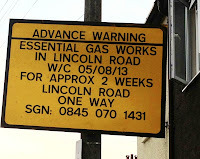 I'm as yet unsure which way this will be as the signage didn't indicate the direction but I will update when I know. 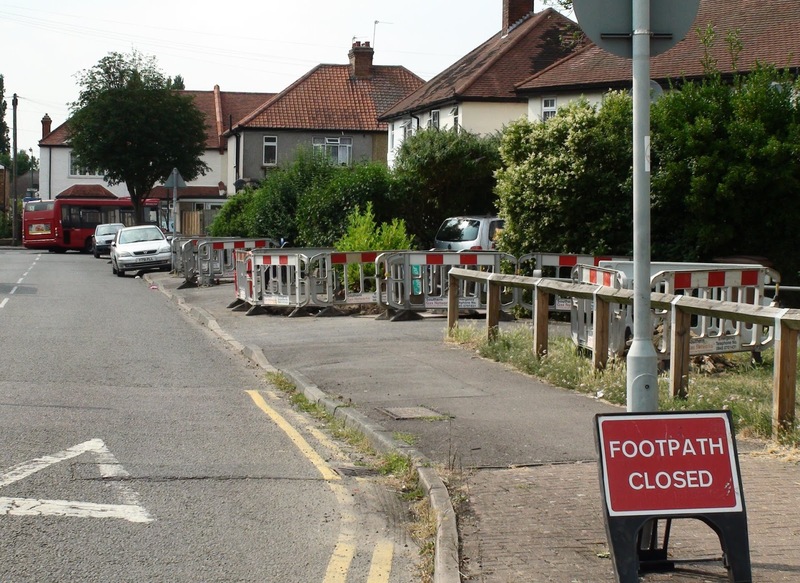 As well as that, there are works also going on in Highdown in the Epsom and Ewell sector of Worcester Park.